Thanks to Michael Brough for another excellent course in a great forest which was somehow still enjoyable despite the very wet conditions. Thanks as ever to Jens for another excellent map, Barbara Willis and John Dixon for helping on the day and Ray Morriss, Andrew Windrum, Peter Swanborough and John Rawden who helped Michael collect the controls in after they had finished. Congratulations to Andrew Windrum winning M40 (and overall) with an impressive ride visiting almost all of the controls for 495 points; Tim Evans M50-403; Sheila Pearce W40 (and first Woman)-344; John Dixon winning M60 for the first time this year-314; Steve & Andrea Foster X50 and first Mixed -293; Chris & Roy Partington Gen-210. You can follow their routes using the splits file and course map here. 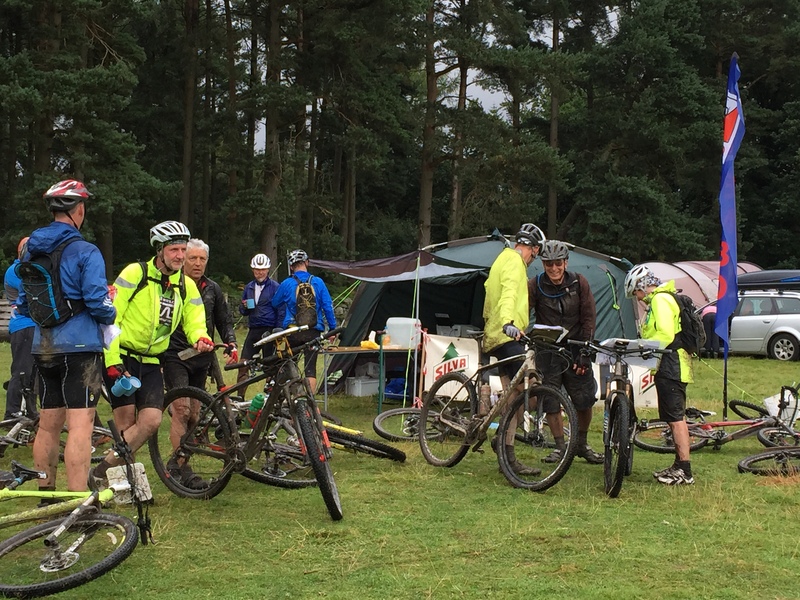 It was disappointing that there were only 56 riders and we need to start increasing our numbers if we are going to break even this year so please let your friends know about our events. 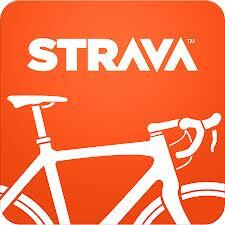 I thoroughly enjoyed my ride despite the weather. The tracks were really tough so I didn’t have the time to get over to Needle Point once I crossed the road unlike Andrew Windrum. We have got 4 more events this month!! Sunday 6th September – Moors Marathon – 4 routes of 100/75/50/25k starting from the Fox & Rabbit with all profits going to the Scarborough & Ryedale Mountain Rescue Team. Commemorative mugs for all finishers. We have only got 25 entries so please enter online or email your details if you want to reserve a map. I still need 2 more control marshals if you would like to help. 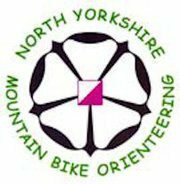 Saturday 19th & Sunday 20th September – OMM Bike in Swaledale and all courses on both days are included in the NYMBO league. You can enter the Polaris, Long or Short courses on the OMM event site at www.theomm.com until Sept 11th. Youcan enter the 3 hour course on either day at www.bmbo.org.uk until Sept 16th. We have already had 75 pre-entries (as well as 150 runners) so it promises to be a great weekend. I have planned the courses and Jens has drawn the map. Sunday 27th September – Cleveland Hills. Conrad & Jill have planned a cracking course from the Lord Stones Cafe at Carlton Bank. I hope you can make it to one or more of them. This entry was posted in Map, News on September 2, 2015 by stevewillis3. When I was putting the controls out on Sunday, I thought we may have a few cases of sunstroke on Monday ,but things certainly changed in a few hours. Considering the poor weather, I was pleased with the good scores. When I was putting out the controls, I was thinking that the map area too big, but from your comments, I now think it was just about right. Thanks again to everyone who gave me support with the planning, maps and collecting the controls. From the positive comments, feedback I have received it makes me look forward to planning a future event so I would like to say thanks to you all for a great day.